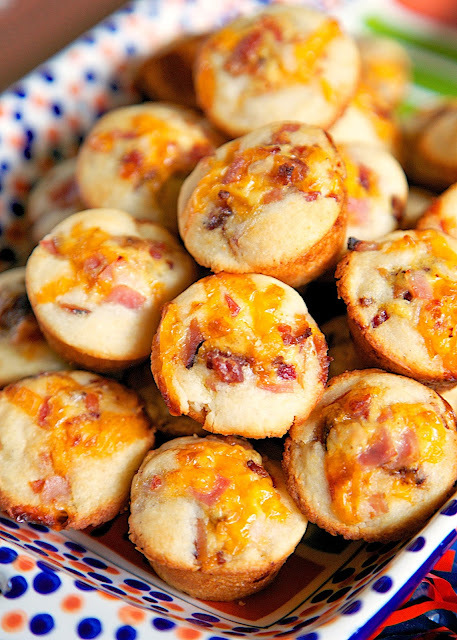 Club Sandwich Cornbread Bites Recipe - Martha White Cornbread mix topped with a ham, turkey, bacon, cheese and honey mustard mixture baked in mini muffin pans. Serve with additional honey mustard. 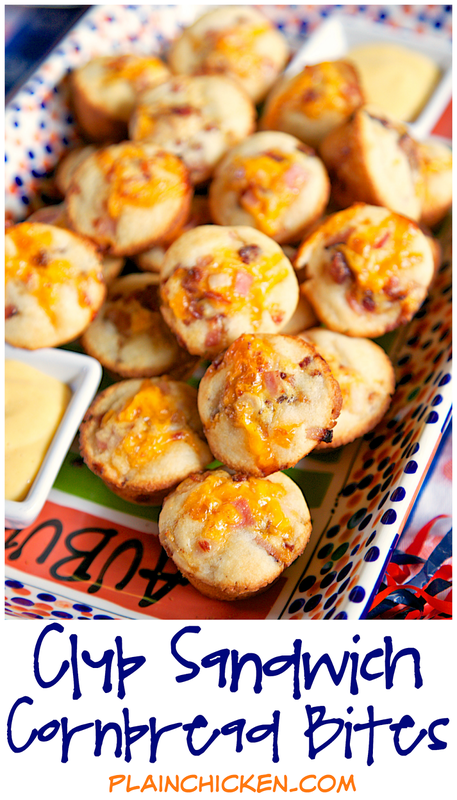 GREAT for tailgating, brunch, baby showers or any other type of party. We've also eaten these for lunch and dinner. Ready in under 15 minutes! 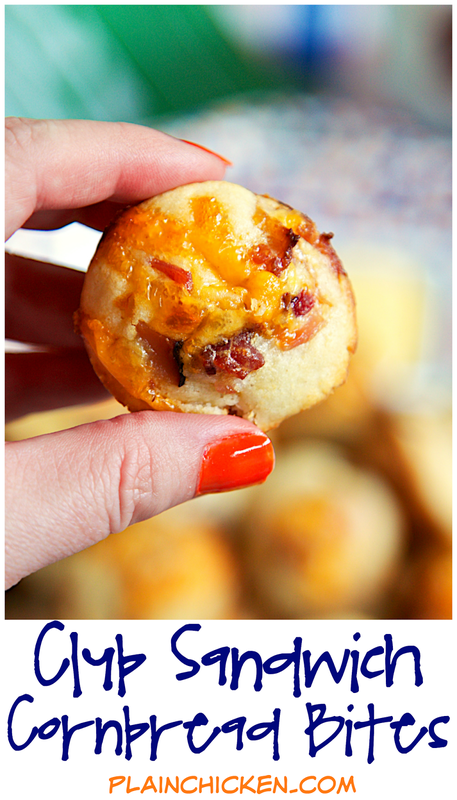 These Club Sandwich Cornbread Bites are AWESOME! 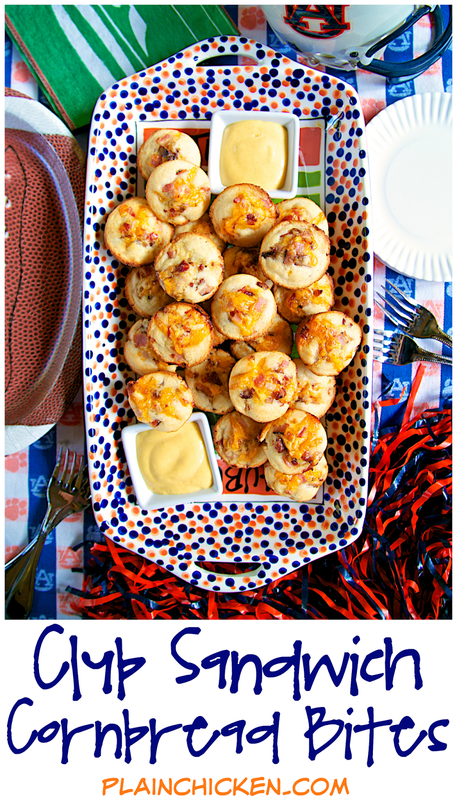 I made these last weekend for our college football watching binge, and they were gone in a flash! Everyone gobbled them up. Next time I will double the recipe. I used a package of Martha White Buttermilk Cornbread & Muffin Mix, and it worked great. It was the perfect amount to make 24 mini cornbread bites. We served these Club Sandwich Cornbread Bites with some honey mustard dressing. YUM! 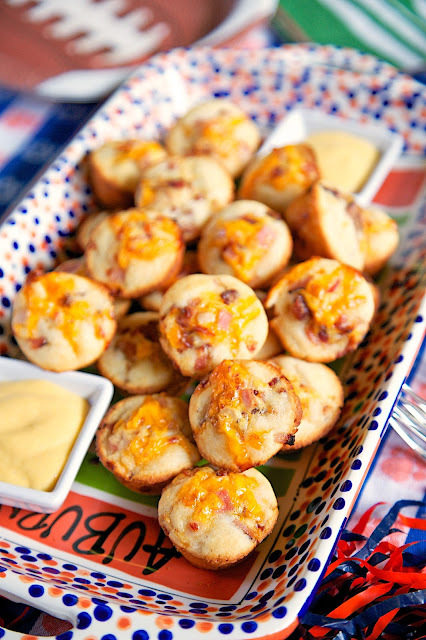 These are perfect for tailgating, brunch, baby showers or any other type of party. You can also whip up a batch for a quick and easy lunch or dinner. The best part is that they are ready in under 15 minutes! Preheat oven to 425 degrees. Spray 24 mini muffin pan cups with cooking spray. Whisk together Martha White Buttermilk Cornbread & Muffin Mix and milk. 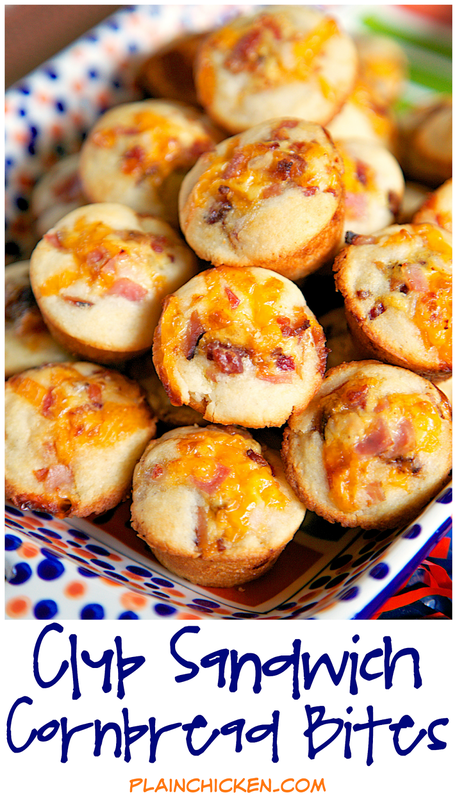 Pour 1 tablespoon of batter into each mini muffin pan cup. Bake muffins for 11-13 minutes. Remove from pan and serve with additional honey mustard dressing. I am so excited to make these! I've been on the internet this morning looking for an appetizer to make for my son's karate picnic. It's hard to find something that it won't matter if it's too hot outside, like a dip, or if it has to stay warm and something that kids will like. It looks like you just nailed for me!!! Thank you so much! I'm off to Publix!!! The combination of club sandwiches and cornbread sounds so good! With the cold weather these would go great with a bowl of soup! !